To make the ginger simple syrup, add 1 cup water and 1 cup white sugar to a medium saucepan. Peel a 3” piece of fresh ginger and chop into small pieces and add to the pan with the chopped lemongrass. The smaller you cut each piece, the more surface area you will expose to the boiling sugar mixture, which will add more flavor to the syrup. Bring mixture to a boil, then reduce heat and simmer for 30 minutes. Remove from heat and let cool. In a 32 oz. glass pitcher, add lemon juice and water and stir to combine. Add simple syrup as desired. Serve poured over ice with fresh mint for garnish. 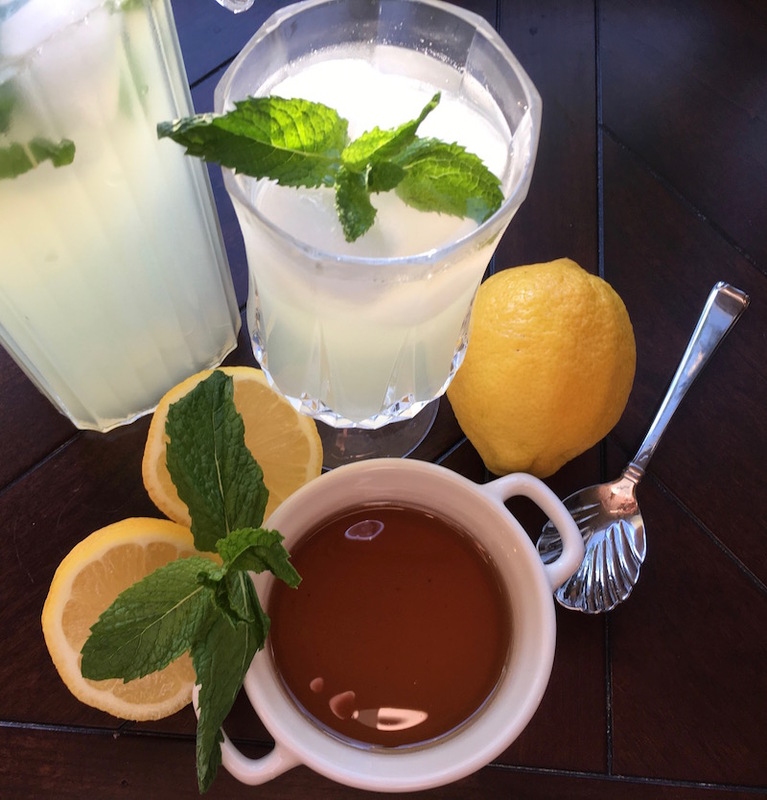 Offer additional infused simple syrup for those who want a little extra sweetness.